Two fatal Boeing 737 MAX crashes prompted international grounding, but Rep. Sam Graves, a longtime pilot and Missouri congressman, said foreign pilot training and standards should be scrutinized as much as the aircraft. A Boeing 737 MAX-8 takes off from Renton Field, in Washington. Photo courtesy of Boeing Co.
Graves, a warbird aficionado who holds an airline transport pilot certificate and is the ranking member of the House Transportation and Infrastructure Committee, said in a March 19 telephone interview that he is concerned about the slow pace of facts coming to light since Ethiopian Airlines Flight 302 crashed shortly after takeoff on March 10, killing all 157 people aboard. The FAA, which initially defended the aircraft’s airworthiness, grounded all 380 of the 737 MAX-8 and MAX-9 aircraft delivered to date on March 13, citing similarities that had come to light between the Ethiopian crash and the loss of another Boeing 737 MAX flown by Indonesia’s Lion Air in October 2018. The NTSB has participated in the investigations, though an agency spokesman told The New York Times March 17 that any information gleaned by investigators could be made public only by Ethiopian officials. Boeing took the same position, citing longstanding protocol. Physical evidence and data made public to date strongly suggest a problem with the Maneuvering Characteristics Augmentation System, which was designed to activate the stabilizer trim if the aircraft exceeded a safe angle of attack with the autopilot disengaged. In both crashes, flight telemetry data suggest the pilots fought a losing battle with runaway trim. Graves said he has talked to FAA and Department of Transportation officials daily since the Ethiopian Airlines crash and has yet to hear any indication of concern that a deadly mechanical defect lurks inside the newest iterations of the bestselling passenger jet that first flew in 1967. He said pilots should be expected to cope with the kind of malfunction that appears to have been involved by simply disabling the system. “I don’t care if you have a (Piper) Seneca or a 737 MAX, the first thing (you do) is you disengage the system and you fly the plane,” Graves said. Pilots with 737 experience and other aviation experts told AOPA that the stabilizer trim system can be shut off with switches mounted between the pilots that either can easily reach. It appears U.S. flight crews have done exactly that when responding to similar system problems on the same jets. Pilot and journalist James Fallows, on the same day the FAA grounded the 737 MAX-8 and MAX-9 aircraft, wrote about and republished publicly available Aviation Safety Reporting System submissions from flight crews who had encountered similar situations with very different outcomes—a safe continuation and completion of the flight. Graves said acting FAA Administrator Dan Elwell and his staff were aware of these reports, and the FAA assured him that none of the incidents represented a threat to flight safety. Bloomberg reported March 19 that a Lion Air 737 MAX encountered an identical problem the day before the fatal October crash, and a third pilot riding in the jump seat advised the crew to cut power to the malfunctioning system. That flight landed safely. Graves said the Ethiopian government has an incentive to protect the reputation of its government-owned airline, and that worries him when it comes to fact-finding. 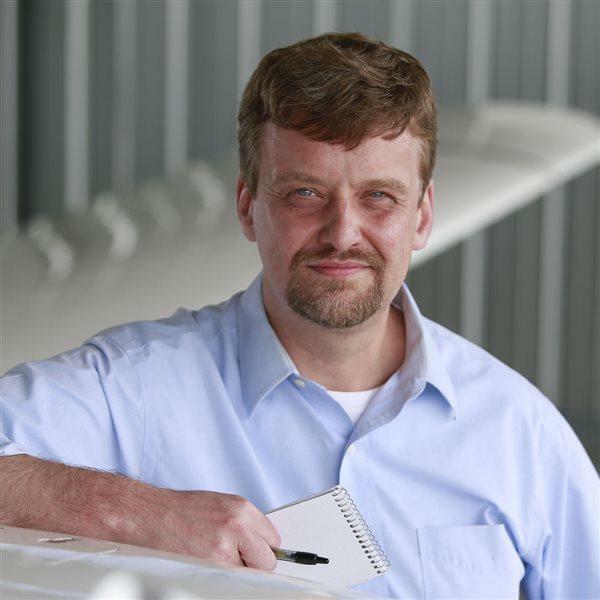 Graves said that while Congress may ultimately probe the certification process and the FAA’s decision making, as some have suggested, he is more concerned about the training and competence of foreign pilots. Graves worries that foreign carriers are under pressure to fill cockpit seats and may not be taking enough time to teach fundamentals. AOPA Air Safety Institute Executive Director Richard McSpadden writes that “Boeing’s grave oversight may have been not recognizing global distinctions in aviation cultures, specifically in pilot skill and training. The subtle skill and crew coordination competencies, unrecognizable under normal operations, but conspicuous in crisis, may well prove to be the difference between a system anomaly, expertly handled and casually reported, and catastrophic crashes resulting in 346 deaths.” Read his full commentary.